Owning a home is one of the best investments you can make, and we are willing to bet that you do everything possible to protect that investment. From meticulous lawn and garden maintenance to keeping the inside neat and tidy, there are all kinds of everyday projects that contribute to a beautiful, well-maintained home. If the paint on the inside or outside of your home isn’t looking as great as it did when it was new, then it might be time to start researching experienced residential painting contractors in Fairfield. Robinson’s Painting and Home Improvements, LLC is your go-to painting and home improvement contractor in town, and whether you need interior or exterior painting completed, we can help. Get a free quote for our Top Rated Local residential painting services today! Faded paint. This is a sure sign that your paint is failing, and new paint is the only answer. Peeling paint. This occurs when the bond between the paint and the wall/siding has been broken. Alligator texture. When moisture has begun to penetrate paint, it will take on an uneven, rippled texture. Chalking. If the surface of your paint has a chalky appearance and feel, it should be replaced. Mold and mildew. Painted surfaces that experience repeated mold and mildew growth may need to be repainted. Outdated colors. If you have an old, outdated paint color on the inside or outside of your home, it is time to repaint. In addition to these reasons, there are many other reasons why your home may need a new paint job. Our professional painting contractors are happy to evaluate the condition of your home’s paint in order to determine if a new coat will prove beneficial. Oftentimes, weekend warriors and DIY enthusiasts take on a home painting project only to find that they may have bitten off more than they can chew. Hiring a professional painting contractor is wise for several reasons. If you have a multi-story home, painting it yourself can prove to be a dangerous task. Additionally, unless you have extensive experience painting homes, you may not have the tools and skills needed to produce a desirable result. Our team has more than 20 years of experience painting homes, so you know you’ll receive a quality paint job when you hire our team to paint the inside or outside of your home. The Fairfield community loves the quality of our workmanship so much that we have been given the Angie’s List “Superior Service Award” every year since 2006. We also have an A+ rating with the Better Business Bureau and we are a proud member of Painters, Decorators, and Contractors of America (PDCA). Are you ready to take the interior of your home from ordinary to extraordinary with a professional residential paint job? If so, then help is just a phone call away. Call our experienced team of painting contractors today at 203-372-1123 to learn more about our services, or request your quote online now! Start Your Residential Painting Project Today! Do you own a commercial property, or are you responsible for the maintenance and upkeep of a business? If so, then you likely have several maintenance tasks that you complete on a regular basis, from ensuring the landscaping is lush and well-manicured to keeping the inside clean and pristine. Keeping a commercial building looking its best can take a lot of effort, especially if your property has thousands of square feet. If the inside and outside of your commercial building is looking a little worn or dated, then it is possible that a fresh coat of paint is all it needs to restore its former glory. As Fairfield’s Top Rated Local® painting contractor, you can rely on the commercial painters at Robinson’s Painting and Home Improvements, LLC for all of your building’s interior and exterior paint needs. Contact our experienced, helpful team today to request your free commercial painting quote! Does Your Commercial Building Need a Face Lift? Running a business is no easy task — between organizing meetings and balancing the books, the last thing you want to worry about is the appearance of your office building. However, the condition of your building is one of the first things employees and customers will notice when they are on your property, and a run-down interior or exterior could give the wrong first impression of your business. Paint that is peeling, bubbling, or faded are sure indications that it is time for a fresh coat of paint. Likewise, if the texture of the paint on the inside or outside of your building has changed, it likely needs to be removed and replaced. In addition to old paint, outdated paint colors can also detract from the aesthetic of your commercial property. The value of fresh paint should not be underestimated, as it can completely transform the appearance of your commercial space. What Are the Benefits of Investing in New Paint? Improved aesthetics. Giving your commercial space a fresh coat of paint will enhance its appearance, making it more attractive to potential customers, which can increase your profit margin. Higher property value. A fresh coat of paint can improve the curb appeal of your commercial property. If you are thinking about selling or leasing your building, this can help garner top-dollar offers. Preventive maintenance. 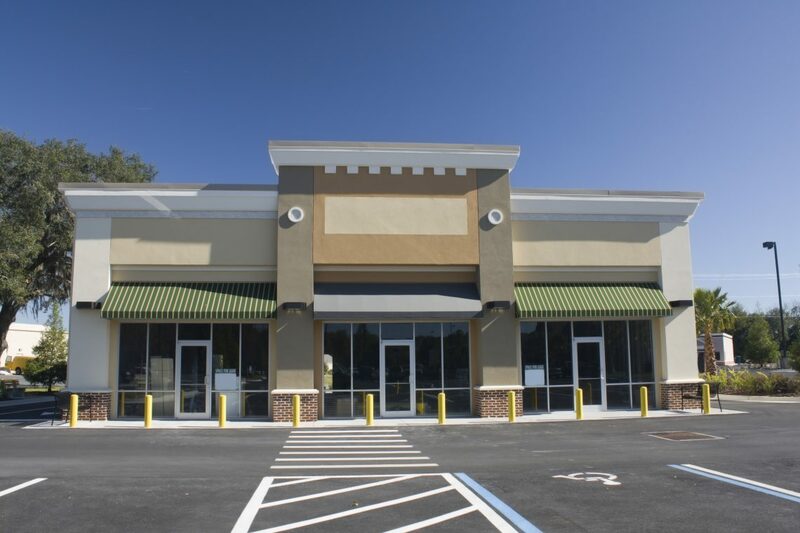 Painting the exterior surfaces of your commercial building on a regular business can help protect them from forms of deterioration that could require a major overhaul. Increased productivity. Scientific studies have proven that certain colors have an impact on productivity. Revamping the interior surfaces in your office can have a positive impact on how productive your employees are. Because the nature of operations can vary from one business to another, your commercial painting needs may not be the same as another company’s. Our commercial painting contractors would love to speak with you to help you understand the benefits of new paint for your specific commercial property. Are you ready to provide your commercial space with a fresh, updated appearance? If so, then the commercial painters at Robinson’s Painting and Home Improvements, LLC are ready to help you! Call our reliable team of commercial painting contractors today at 203-372-1123 to learn more about our services, or request your quote online now! Start Your Commercial Painting Project Now! One of the best parts of owning your home is that you have the freedom to customize the inside of it to suit your individual preferences. 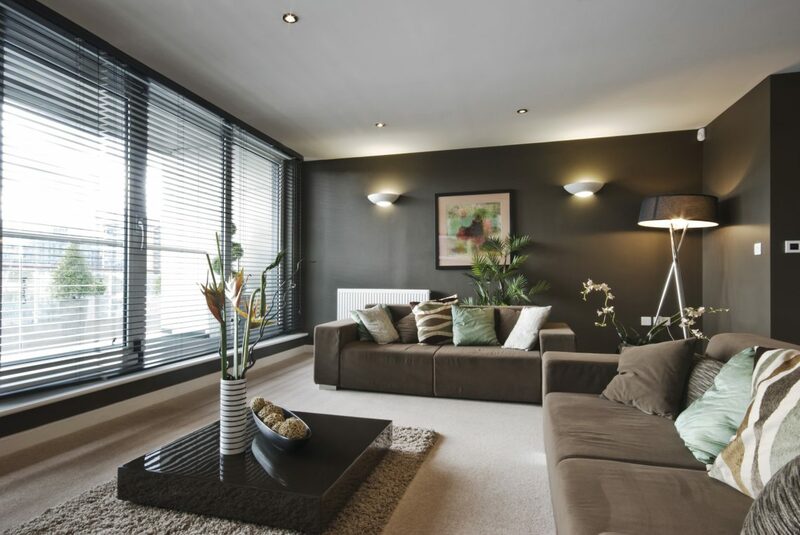 From the paint on the walls to the type of flooring you install, each room can be modified to suit your design preferences and your lifestyle. Unfortunately, many homeowners start DIY renovations only to find that they are unable to complete the job for one reason or another, leaving their home in a worse state than when they started their project. All of this can be avoided by working with a reputable and experienced home improvement contractor. Robinson’s Painting and Home Improvements, LLC is Fairfield’s Top Rated Local® painting and remodeling contractor, and we are happy to help you with all of your renovation needs. Contact us today to request a free remodeling or flooring quote! Safety. There are some home improvement tasks, like upgrading the electrical in your home, that can be very dangerous without the proper skills and training. Permits and inspections. A home improvement contractor will pull all needed permits and request the appropriate inspections, saving you the hassle of dealing with city officials. Tools and knowledge. A professional contractor has the knowledge and professional-quality tools to complete your project properly. Results. Unprofessional and inexperienced craftsmanship often yields subpar results and this can negatively impact your home’s value. Resale value. Certain home improvement projects can actually increase the resale value of your home when done right. Time savings. A home improvement contractor can complete your project quickly, saving you evening and weekend hours. Our team of experienced professionals has the skill and knowledge needed to tackle just about any type of home improvement project you need completed. 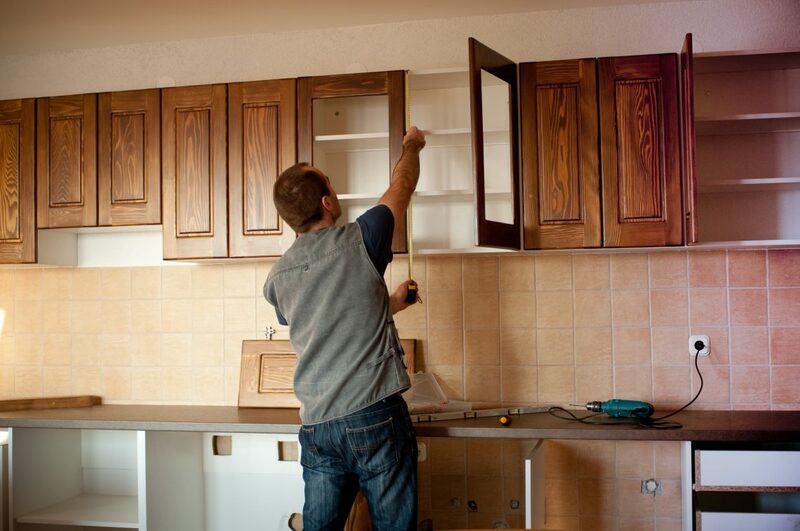 From bathroom and kitchen remodels to carpentry and flooring, we have your needs covered! Transform the hub of your home into a central gathering place that features cabinets and appliances that strike the right balance between form and function. During your consultation, our home improvement contractors will discuss your budget, desired features, and design preferences to create a kitchen that works for you! Though they were once strictly a utilitarian space, modern-day bathrooms offer an escape from the hectic pace of everyday life. Whether you need help installing the five-piece bathroom you have always dreamed of or your current setup just needs to be modernized, we can help you achieve a bathroom that is as beautiful as it is functional. New floors can transform the interior of a home unlike any other home improvement project. If your current flooring is looking a little shabby, or if it has suffered some type of damage, then it may be time to replace it. Our flooring experts are happy to speak with you about your material preferences and your budget to provide a solution that is custom-tailored for your needs. Ready to Start Your Painting or Home Improvement Project? Have you decided that it is time to give the inside or outside of your home or business a fresh coat of paint? Are you ready to finally tackle the remodeling project you’ve been putting off? Robinson’s Painting and Home Improvements, LLC is here for you. We have been transforming residential and commercial properties for more than 20 years with our high-quality painting and remodeling services, and we are confident that we can do the same for you. When you need an experienced home improvement contractor in Fairfield, look no further than our team of experts. Check out our photo gallery and contact us today to request a free quote! Start Your Remodeling or Flooring Project Today!